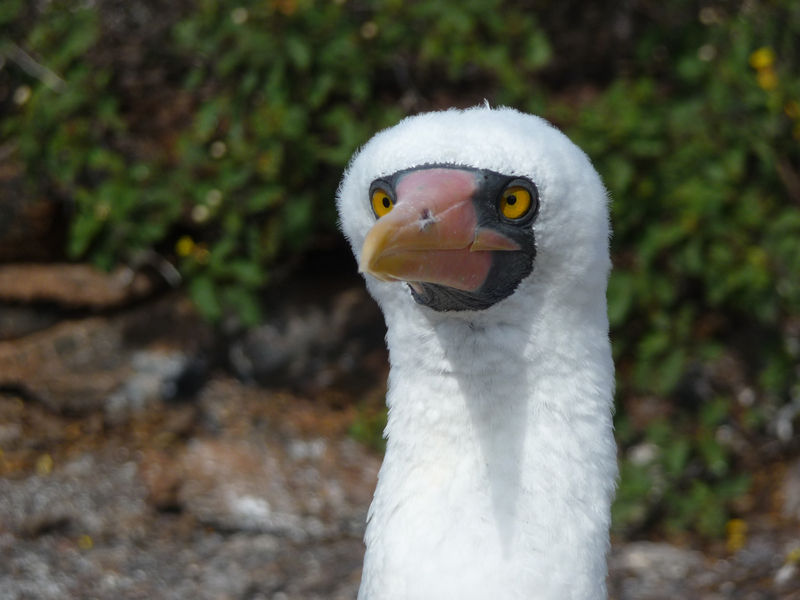 That's a Nazca booby, and yes, I took that photo with a point-and-shoot camera (a Panasonic DMC-TZ5 to be precise). There's hardly any sport in getting awesome bird shots in the Galapagos. They are utterly unafraid of humans, so they'll pretty much pose for you, and with an 8GB memory card you can shoot first and ask questions later. I'm digging out from under a mountain of accumulated laundry and email, but I'll write up a retroactive travelogue in the next few days, along with the promised followup to the kitten-torture series. In the meantime, Jerry DeWitt's book is out. Highly recommended. The Galapagos is a great place to visit for the wildlife - we had an awesome trip there 18 months ago. From the Pentecostal faith to atheism -not impressed- some of the biggest whack jobs I've come across.